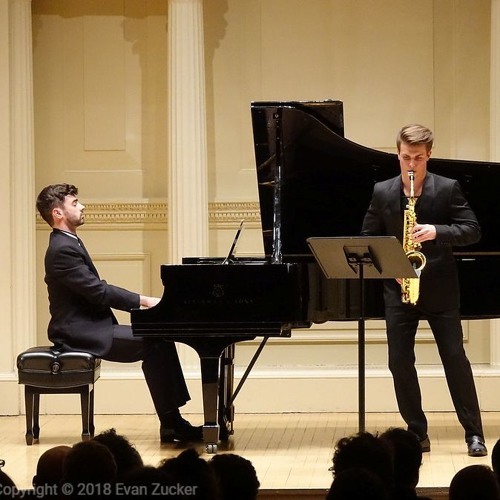 "Sonata for Saxophone and Piano" by Will Healy, performed by Connor James Mikula, alto saxophone, and Will Healy, piano. Commissioned by Novus New Music and Connor James Mikula, recorded and produced by Adam Abeshouse. I. Overture (0:00) II. Sarabande (5:55) III. Toccata (11:30) This score is available for purchase at http://willhealymusic.com/merch/sonata-for-alto-saxophone-and-piano Much of this piece was written at the Brush Creek Foundation, Saratoga Wyoming, October 2017.